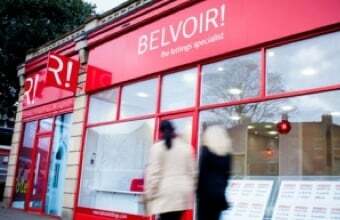 Understanding a Landlords repairing obligation | Belvoir! • If any part of the property could have a negative impact on the tenants health. The most commonly found risk would be anything that would create cold or damp conditions in the property. • There must be sufficient provision for waste drainage, so there must be sinks and toilets where water can hygienically escape the property. • The tenants must have access to clean drinking water. • There must be a toilet that is for sole use of the tenants living in the property. When the property is let out, the landlord still has a responsibility to keep certain aspects of the property in good working condition, both inside and outside. Externally, the landlord has a responsibility to maintain the structure of the property, including walls, roof and foundation. On top of this they also need to ensure that the drains, gutters and pipes are all in working order. Inside the property the landlord must ensure that installations for gas, electricity, water and sanitation are maintained, meaning that basins, sinks, toilets and baths must be working or replaced if broken. Finally, the landlord must ensure that the installation for heating and hot water are in working order. This will often mean maintaining the boiler and central heating system. The majority of the legal requirements can be found in law. For more info see Section 11 of the Landlord and Tenant Act 1985.